A box of 12 pcs 10" unscented taper candles. 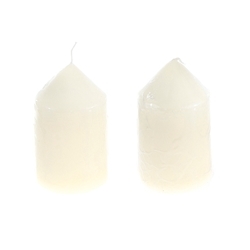 These taper candles are clean burning and dripless, the wick is made of 100% cotton that is lead free. The taper candles have a burn time of up to 8 hours and they fit into any standard taper candle holder. Taper candles add elegance and class to any formal event.